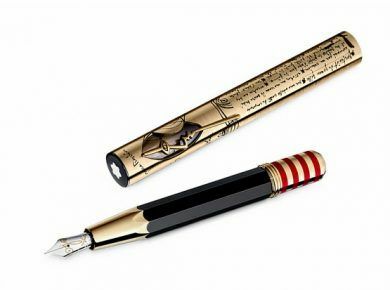 You’ve probably seen a lot of luxury pens on BeautifulLife – Montblanc 2012 Writers Edition: Jonathan Swift or Limited Edition Luxury Pen from Pecorari Modena. Unlike these luxury pieces of art the following ones are cute positive pens. Collection “PenPals” designed by Yaacov Kaufman & Yoav Ziv consist of 3 items: Red Devil, White Knight and Black John Doe! “Friendly companions for your pocket or for your notebook, they are also a great gift that will never go unnoticed. Pen Pals like company and look best in pairs or more.” If you want to buy it you can do it here.